While Fox would likely never let it run, fearful it would tarnish the minds of innocent small children, with a few tweaks these two commercials for ICS Concrete Chain Saws would be great to see during the game. 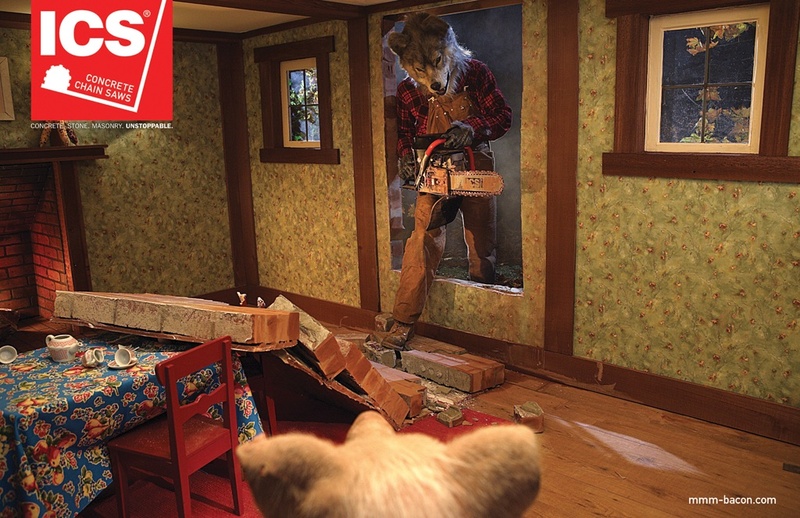 In this campaign, the Big Bad Wolf, famous for his appearances in Three Little Pigs and Little Red Riding Hood, happens upon the home of three little pigs and with the help of a concrete chain saw from ICS which believes a concrete wall is nothing more than a door waiting to be opened, lets himself in. Adrants reader Sunil pointed us to this sleeper controversy. Did Airtel rip one of its India-based ads off this Cannes-award-winning New Zealand Telecom spot?